When tragedies or accidents strike, are you ready to save yourself or your family? ABS-CBN News and Current Affairs prepares you for the worst case scenarios that may confront you anytime, anywhere and equips you with the knowledge you need to save your lives via its newest program “Red Alert,” anchored by Atom Araullo, premiering this Friday (Mar 21). “Everyone needs to be alert and needs to be knowledgeable enough to deal with crisis situations. Waiting for help is not an option because every second counts. This is what we will address through our program,” said Dondi Ocampo, Head of News Variety, Infotainment & Talk ng Current Affairs. Ocampo added that “Red Alert” is in line with ABS-CBN’s mission to be in the service of Filipinos worldwide. Every week, Atom dissects disasters or predicaments that can happen to individuals and shows how to get through them safely. “Experience is the greatest teacher, and this is why I will personally put myself in the scenarios we are going to feature in the show,” said Atom. In its pilot telecast, Atom shows viewers what to do in case a fire breaks out, based on testimonies from people who lost their homes and loved ones to a fire. 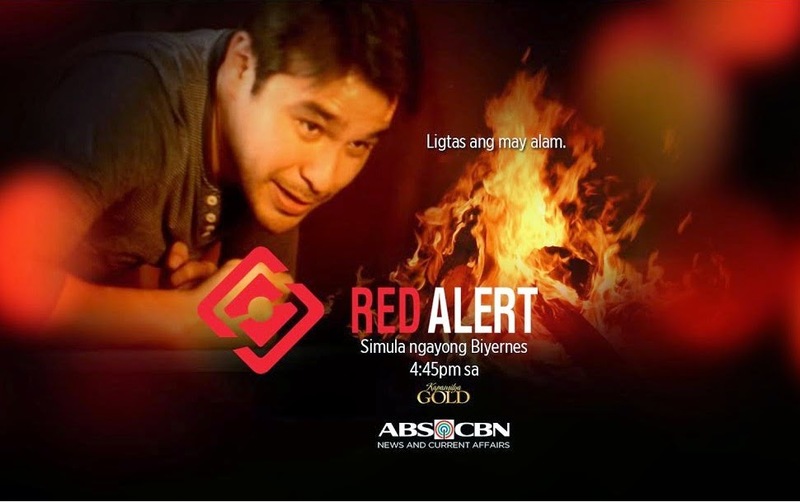 Don’t miss the premiere of “Red Alert” with Atom Araullo, beginning Friday (Mar 21), 4:45 PM after “Galema: Anak ni Zuma” in ABS-CBN’s Kapamilya Gold.